On my way back from a Valley Forge bike ride, I tried to grab a beer at In Riva, but they were closed until 5. Side note - if I own a place, and the staff is all there, I have a great Thursday afternoon, and two customers want to sit on the porch and have a beer, we are never going to be closed. I understand that the employees need to prep between shifts, I have significant restaurant experience, but I also would never turn people away who are trying to give me money. So we pedaled up the block (thanks to Yelp!) and hit the Falls Taproom. I am glad we did. The Falls Taproom has a pretty classy menu, full of tempting menu items. As I still had to ride another four miles home, I didn't want anything too heavy. The smoked gouda triangles were not an option, but rather a necessity. 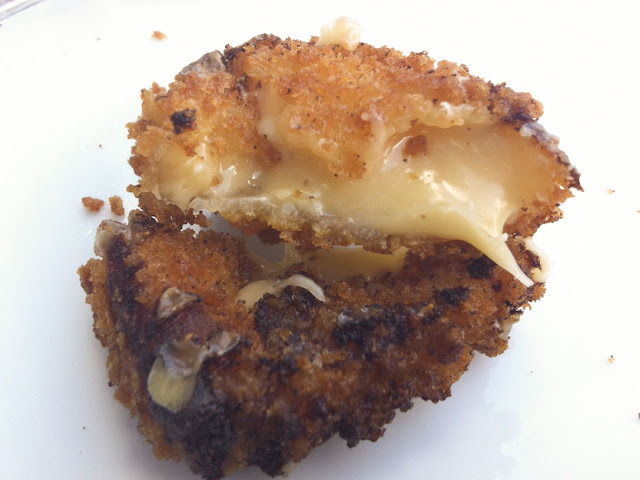 I am slightly obsessed with gouda, and have never had it in deep fried form. This was hands-down the best fried cheese I have ever had. Smoky, gooey, and rich, the pale ale marinade and panko crumbs were the perfect complements to the indulgent cheese. 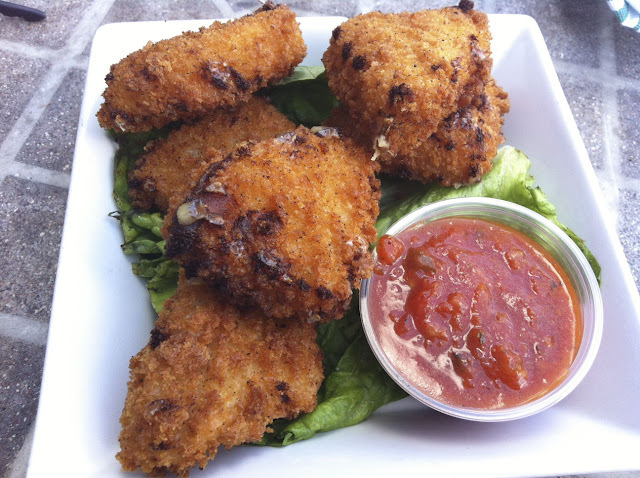 Served with a fresh, tangy marinara sauce, they were surprisingly not as heavy as you would imagine. I also gave the Mediterranean plate a try. 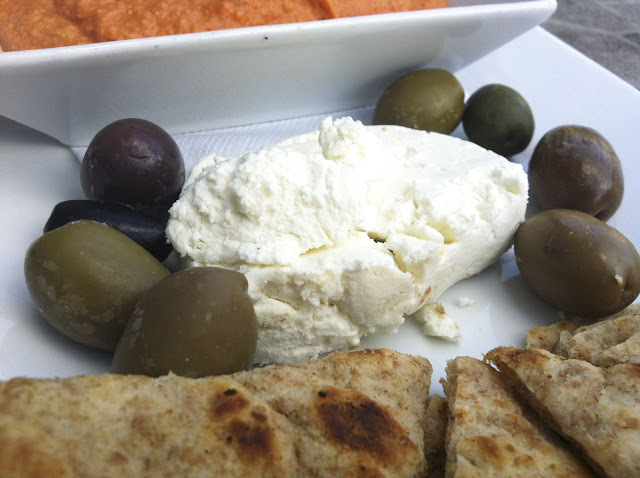 While it may not look like much, this was a delicious and fresh (and reasonably priced) appetizer that blew away the other version I recently tasted in Manayunk. 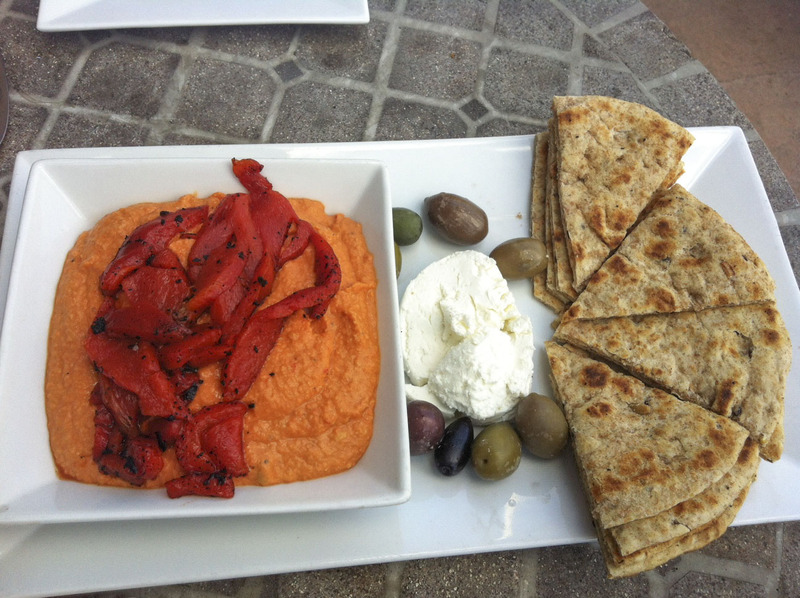 Roasted peppers, hummus, olives, goat cheese, and some warm pita bread made for a fresh and light snack. 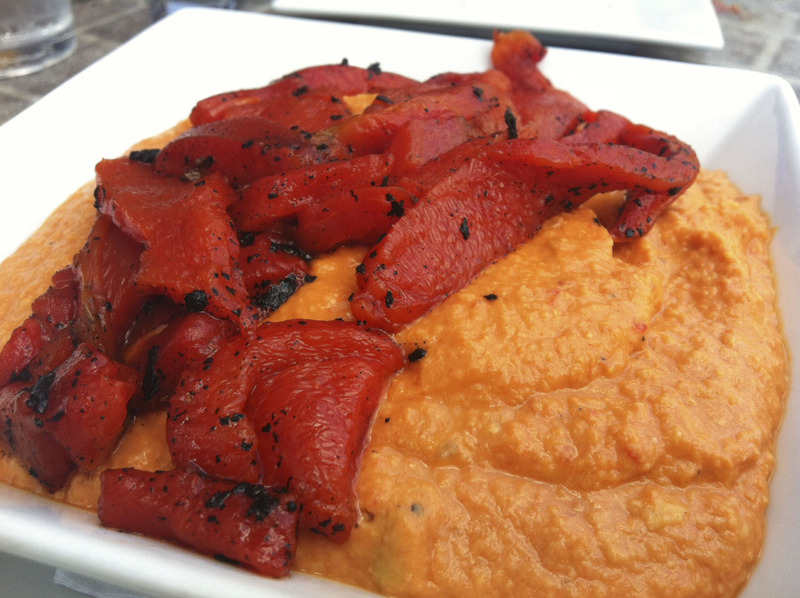 The hummus is made fresh in-house daily (as well it should be) and the roasted peppers were still steaming from their flame kiss moments earlier. This fresh preparation was precisely what I was in the mood for after the haul out to Valley Forge. 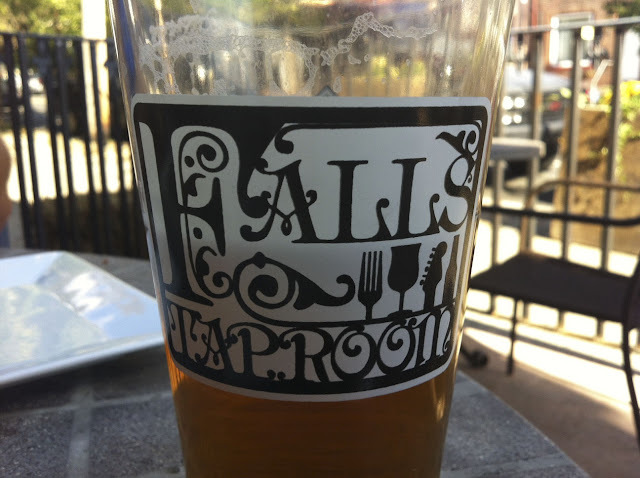 All in all, the Falls Taproom is a great spot for a casual snack and a beer or two. The service is good, the food is great, and the beer selection is perfect. 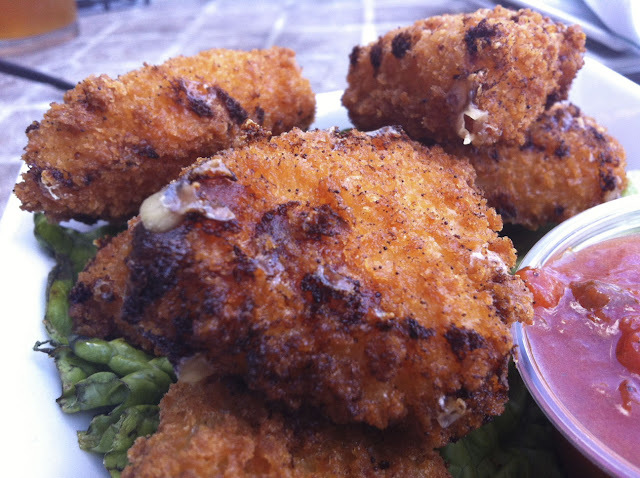 Oh wow, I need to get in on some of this fried cheese action (with beer of course). The Falls Taproom is the most polarizing restaurant in Northwest Philly! We've gone there quite a bit. 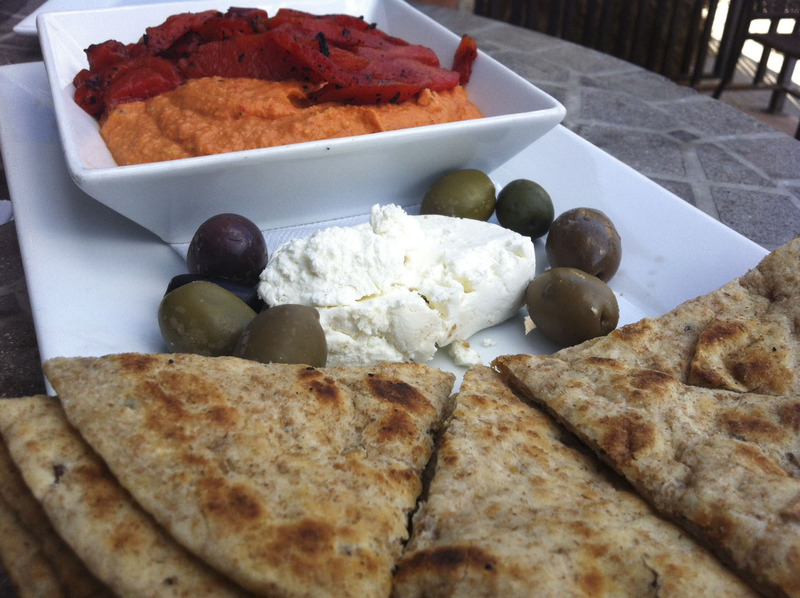 My wife and a few of our friends are strict veggies and they have the menu that's most veggie-friendly up this way. They rave about their seitan wings as being amongst the best in the city. 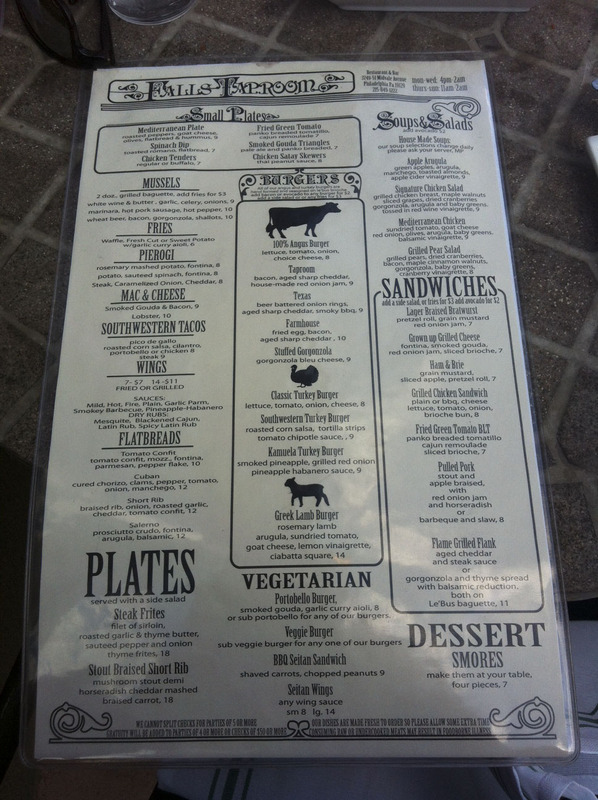 I am an omnivore and their hamburgers are pretty fantastic, as well as the other food I have. Also, they have an upstairs that's sort of like a speakeasy type place in terms of decor. Food is not the problem there! The service we've had when we've been there a few times has been horrible! The food took a really long time to come out. It was over 45 minutes for a hamburger and the rest of our meal. And the place was far from crowded. A long wait doesn't bug me at all. But the waiter/waitress didn't come to let us know ("Oh, our kitchen is backed up a bit") or didn't even freshen up our water. I chalked it up to the restaurant being relatively new and the staff inexperienced but the same thing has happened a few times already. It's really frustrating. We haven't gone back in a few months because of how bad the service was the last time.